Take a baby camping? To the uninitiated, babes in the woods may seem like a fool’s errand. But in fact, camping with kids—even babies—makes a lot of sense. Especially if you adjust expectations and have a Dutchmen travel trailer to smooth over some of the rough spots. Why take a baby or toddler camping? Perhaps you and your partner have always been active, outdoorsy types, and don’t want to stop exploring now that you have kids. Or maybe you’ve learned about the scientific evidence that shows getting outdoors and a little dirty is good for building up children’s immune systems, and that being around nature can help them become more sensitive to the environment. Maybe camping is just a fun way to experience life as a family, unplugged—and that’s a good enough reason for anyone! Family camping with a Dutchman RV travel trailer certainly makes it easier to accommodate little ones. Knowing you have a place for them to sleep indoors—especially if you have an RV with bunk beds—helps keep everyone on a regular nap and bedtime schedule. A built-in kitchen makes for more reliable mealtimes and easier cooking for picky little ones. Plus, a private bathroom at-the-ready helps you avoid mad dashes to find the nearest public facility. Yet, camping with kids in an RV still affords you the joys of outdoor camping, including being close to nature and the camaraderie with other campers. You can cook outdoors, and save money on hotels, restaurants, and amusements. However you go camping with babies and young children, experienced parents know to keep in mind the following tips to make the best of each experience. If this is your first time camping with the kids, keep it short—one or two nights away from home—and don’t go too far. That way, if plans go awry or someone gets sick, you’re still close to home. Plus, if all goes well, you’ll get to spend more time camping than driving to the campsite. Also, discuss your priorities for camping. Do you want to hike, just chill in the forest for a while, or something else? Plan the trip around your first priority, and if you get to anything else, that will be a bonus. 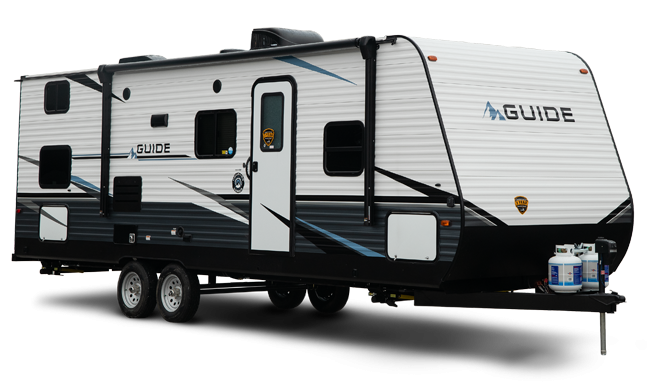 Spend a night in the travel trailer right in your driveway. This will give you and your little ones a realistic idea of what the experience will be like and where some of the pitfalls may be. It will also take some of the novelty out of the environment; many parents report kids spend the first night in an RV exploring but get more sleep the second night out. Also, help prepare pre-schoolers by reading books about camping, wildlife, nature, etc., beforehand, and take those books with you on the trip for reference. 3. Choose your campsites carefully. There are as many different types of campsites as there are families, so look for one that suits yours. If you’re camping with a baby who is not mobile, in many ways, this makes life easier: babies usually sleep a lot and won’t be crawling around on the ground, so your campsite can be just about anywhere. Once little ones are mobile, look for a site or park with grassy areas (rather than dirt and gravel), and avoid camping near water for safety reasons. Also, think about whether you want a spot surrounded by other families or one that is more isolated. One that has lots of modern conveniences or one that lets you unplug. Do your research and be sure to book in advance. 4. Have a list of backup plans. Plot out places where you can do laundry in a pinch, map public playgrounds and pools for variety, and take along puzzles, games, and short videos for indoor entertainment if it rains. Also, bookmark nearby campsites in case the one you’ve chosen isn’t what you expected. 5. Stick with the kids’ home schedule, as much as possible. Naps and meals are priorities in your kids’ lives, and at a young age, messing with their schedule can make everyone tired and cranky. 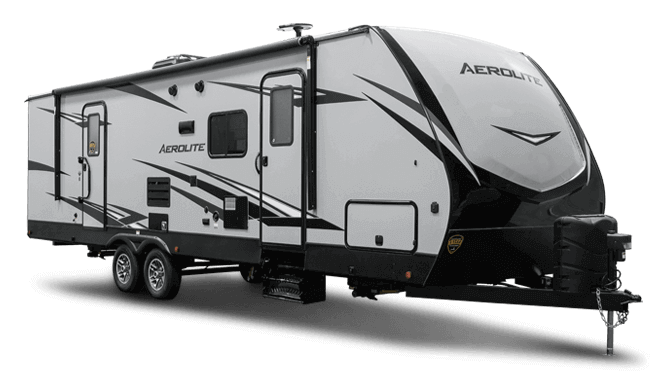 With an RV, it’s much easier to stick to scheduled nap and meal times, because you have a reliable living space, kitchen, and sleeping area. However, because you’re on the road, you might have the tendency to push on to the next campsite or roadside attraction and hope for the best. Try to avoid those situations—remember, everything is a wonder to little children. 6. Plan unstructured play time. Many campgrounds and RV resorts cater to families and some have pools, waterslides, elaborate playgrounds and scheduled activities such as nature crafts and scavenger hunts, in addition to nearby trails for hiking and biking. While it’s nice to have these activities, kids need downtime, plus time to just run around and burn their energy. So, resist the urge to schedule them into every activity or to plan a daylong hike—even if they are being carried in backpacks. And, don’t feel the need to pressure kids to move on to the next thing. If they’re having fun picking up pinecones or chasing a moth around—let them enjoy that. Even kids who are long past the potty-training stage will need to go on the go. As far as diapers are concerned, take more than you think you’ll need (always a good plan), and be prepared to carry them out with you or dispose of them properly (no, you can’t bury them). Most family-friendly campsites or RV parks will have a place to deposit disposable diapers. But, just in case, have a plan to keep them with you (in as unsmelly a way as possible) until you can find a proper trash receptacle. Cloth diapers are more of a challenge in the wild, but liners and a site with laundry facilities will help. You should always have a first aid kit with you when camping, but before you head out with little ones, double check to make sure the kit is fully stocked and has kid-friendly items. Always check with your pediatrician to make sure you are carrying and using medications appropriate for your children, but typically, kits should include children’s pain reliever, a thermometer, liquid Benedryl (in case of an allergic reaction), and plenty of bandages, at minimum. Don’t forget prescription medications, extra epi-pens (if anyone has an allergy), bug repellant, and sunscreen (check with your pediatrician on what type is safe for your child), plus tweezers and a magnifying glass for splinters, ticks, etc. Also, when you plan your route, take a look at where the nearest hospitals and urgent care centers are. If you plan to go boating, make sure you have life vests that fit — and set a good example by using them yourself. Although some public waterways rent safety equipment, not all do, and they may not have children’s vests or baby floats. Also, if your kids aren’t used to wearing life jackets, try them on them beforehand at home and “pretend” to paddle a canoe or kayak so they can get into the spirit and get the feel of wearing water protection. Also important: teach your children from a young age not to touch an unfamiliar plant or approach an unknown animal without checking with a grown-up first. 9. Double your fun by camping with another family or grandparents. The more the merrier, right? Even if you ride separately, when you get together at the campsite, you’ll have another set of hands to hold the baby or change a diaper, and another pair of eyes to watch toddlers play while you cook dinner. Also, one set of parents can watch all the kids while the other pair goes out for a canoe ride, then switch off. Baby Carrier. Let’s face it, kids have a lot of energy, but they just can’t walk as far and as fast as you. So, get them used to riding in a baby carrier early and often. Babies will often doze the hike away, whereas toddlers enjoy the high vantage point. Make sure the carriers fit properly and practice with them before hitting the trail. A pack and play. Yes, this pop-up play yard will take up some room, but it’s a wonderful way to keep babies and young toddlers safe from harm while you tend to the campfire or just want the tots to get some fresh air without crawling in the dirt. Night lights. Flashlights, headlamps, glow stick bracelets, and any other types of lighting will help you and your kids see at night—especially if the little ones are afraid of the dark. Chairs. Fold-up camp chairs for sitting on the ground give kids a designated place to sit and keep them a wee bit cleaner. Portable high chairs come in handy for the baby and toddler (and parents) at feeding time. A toy tub. Fill a plastic tub, such as a large dishpan, with small, age-appropriate toys like a pail and shovel, trucks, small balls, and so on. The tub keeps the toys in one place while you travel, makes it easy to transport them outside and back in, and you can hose them all down in the tub if they get too dirty. Craft supplies. You provide basic materials like paper, glue sticks and washable markers—nature will provide the rest. Make leaf rubbings or collages, have the kids draw pictures of what they saw that day in their “journal” (papers folded in half and stapled along the fold, book style), paint rocks and twigs (with markers), make leaf and twig mobiles, and so on. Bug netting. To minimize the use of insect repellant and maximize protection, carry a lightweight bug net for each child that you can place over them when they’re in a stroller, baby seat, or the carrier. Camp clothes. Leave the cute outfits behind and pack a variety of layers to cope with changes in weather and temperature. Don’t forget rain gear (including footwear), a heavy-duty pair of pants or overalls for crawling around the campsite, mittens or gloves (you never know), plenty of t-shirts and onesies (plus bibs), sturdy sneakers or hiking shoes, and flip-flops or shower shoes for public showers and pools. Now that you know the basics of camping with kids, it’s time to plan your family adventure. 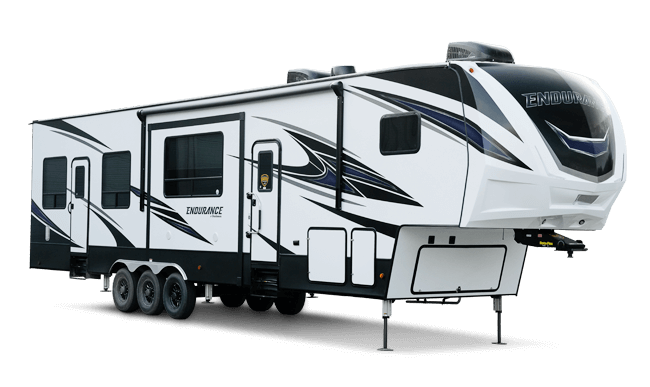 Make sure you check out the Dutchmen Facebook page for the latest news, and follow our Instagram account, @dutchmenrvcompany, for updates about our family of Dutchmen RV owners.